Our farm is still under construction, just like this website. But we can't wait to start feeding our local neighbors starting the summer of 2019. Fresh Food for our Community. We are excited to be starting a farm right here in the Mud Creek Valley, nestled between Castleton and Geist. 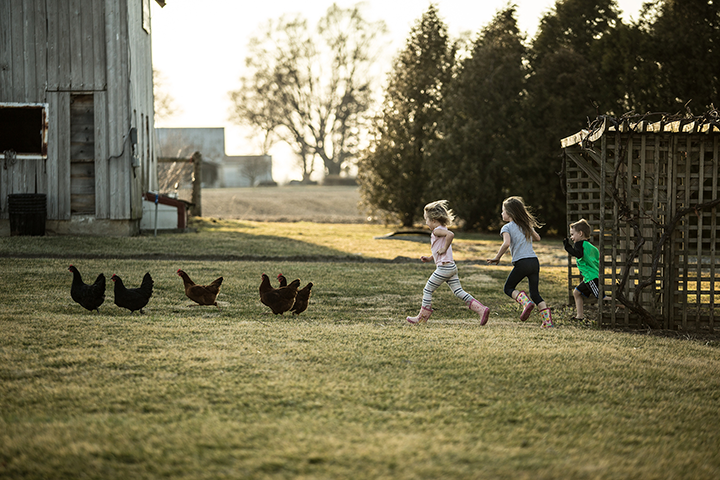 Our farm will include fresh eggs and vegetables — tomatoes, peppers, lettuce, and more. Plus, have a small herd of goats that manage the brush and keep invasive species at bay.